Nowadays, the technology and internet drive a significantly large number of people to go online and buy their preferred items including clothes, footwear, jewellery, kitchenware, and many more. As days pass, more and more people are moving online to shop the products at cheapest price with lots of deals and offers. Craftsvilla is an e-commerce platform that sells ethnic apparels for men and women, besides jewellery, bags, footwear, home décor etc. 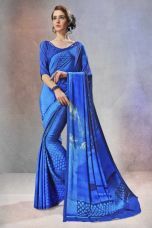 Mumbai based company constantly connects with the best craftsmen and designers to delicately craft the traditional Indian ethnic clothes and other accessories and to capture regional culture. Craftsvilla keeps a catalog of the products that are not easily available anywhere. The largest online ethnic store in India ensures to provide the best shopping experience to all Craftsvilla shoppers. 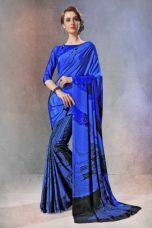 Its ethnic collection include sarees, kurtis, skirts, anarkali suits, lehenga, men’s pyjama, sherwanis, kurtas etc. Apart from clothing, Craftsvilla delivers designer bags, necklace, earrings, kitchenware, home décor products etc. To provide the best customer-friendly service, Craftsvilla brings amazing deals and discount offers on all products. 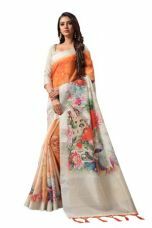 Closely watch Deal Platter to know the latest Craftsvilla discount coupons for sarees, lehengas, kurtis, or even for your favorite necklace. With constantly updating the page, any customer can get authentic Craftsvilla deals and offers on Deal Platter. Don’t miss the deal. Go ethnic!